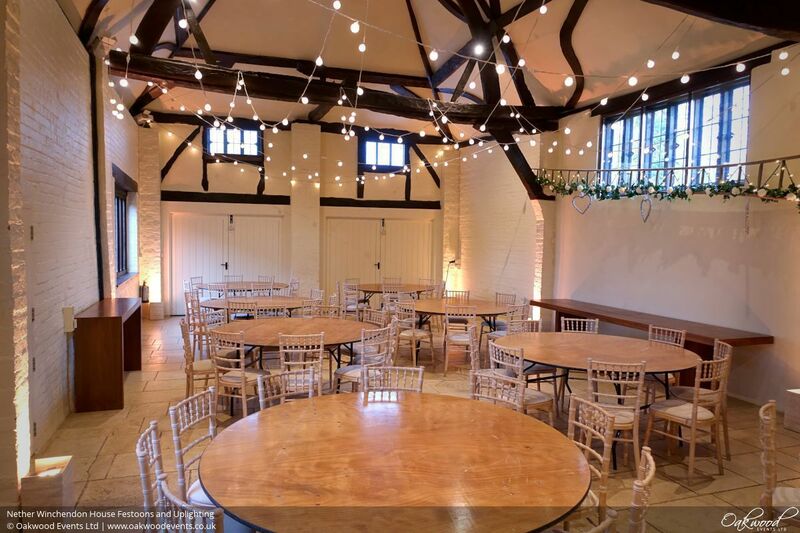 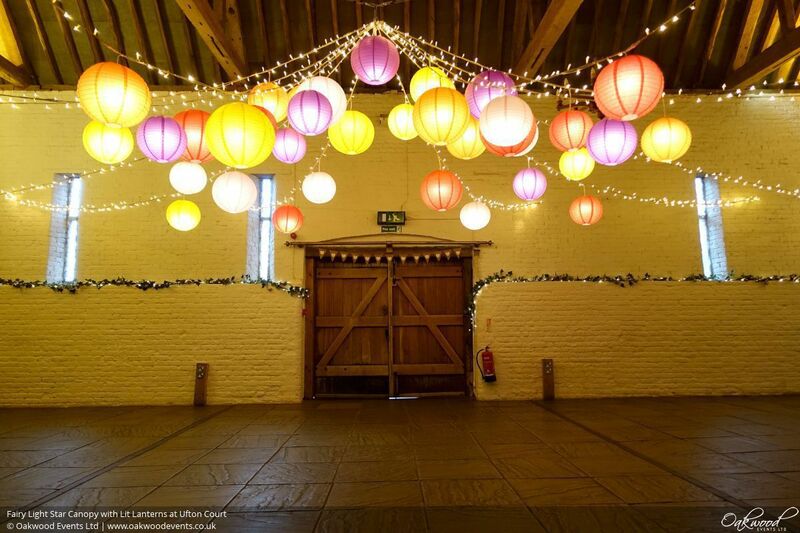 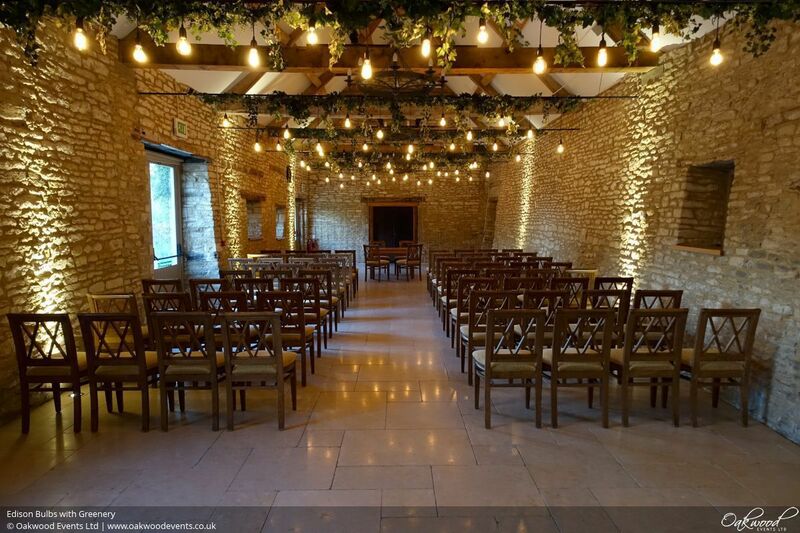 Here's a super-stylish design we installed for a recent wedding at Ufton Court. 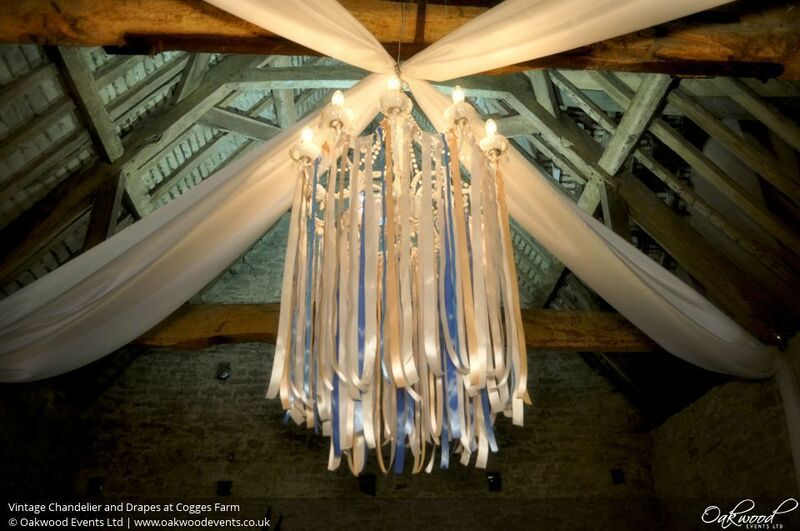 A cluster of Edison bulbs was installed on a central cartwheel chandelier, hanging at the middle of a large star-shaped canopy of festoon lights. 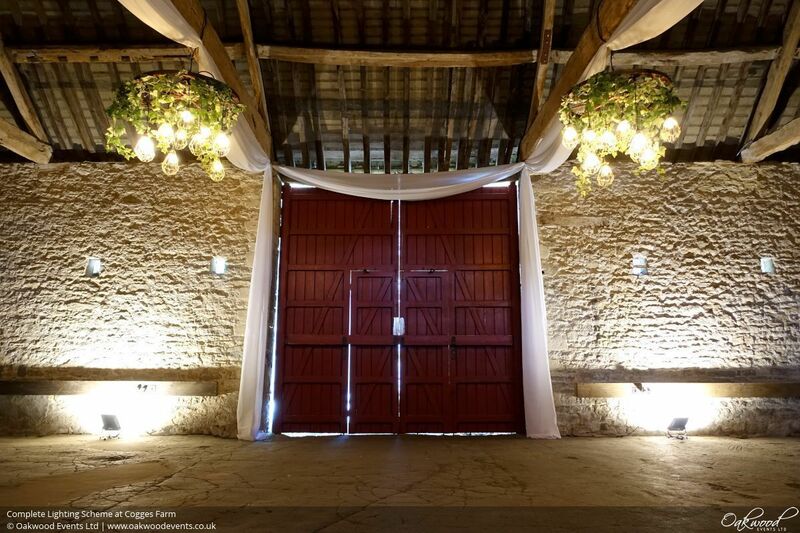 What an amazing hidden gem Longbourn Barn is, tucked away in the Warwickshire countryside with breathtaking views over the surrounding landscape. 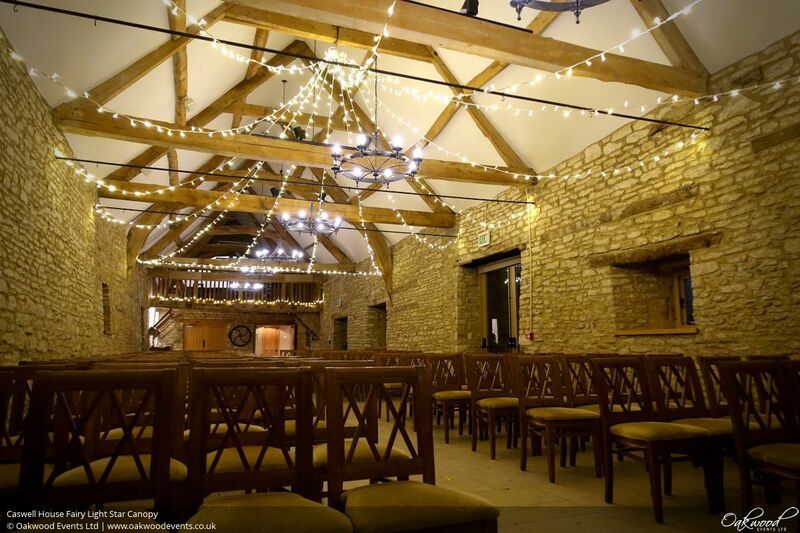 We were delighted to be invited back for another wedding in this superb location. 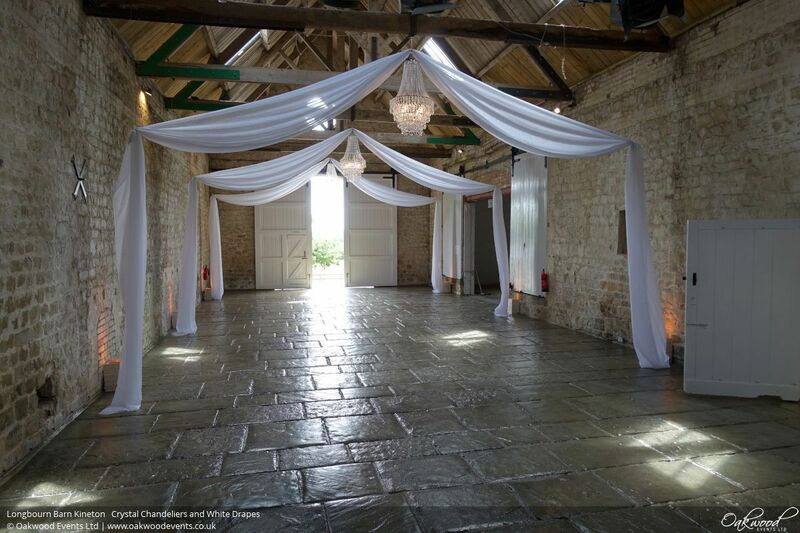 After talking through various options, the couple chose four of our gorgeous tiered crystal chandeliers, each one framed by a soft white fabric drape. 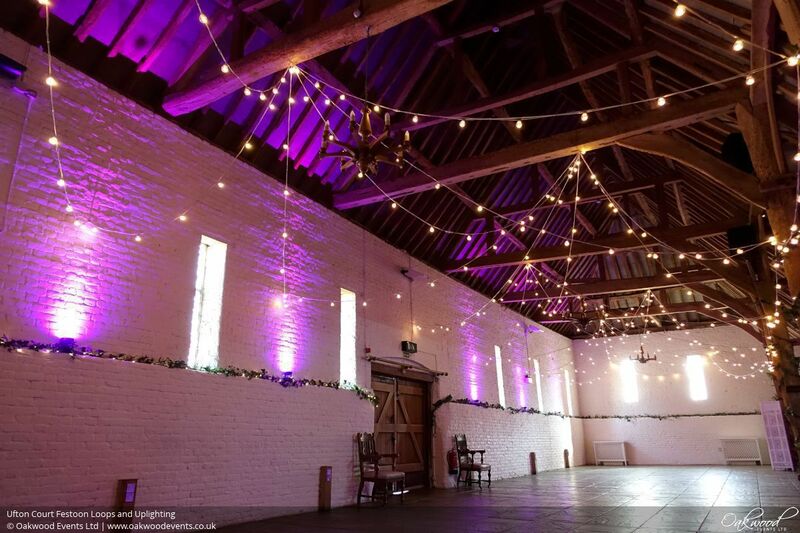 Wireless LED uplighters and a large white backdrop on the stage finished off the look, all coming together to transform an already beautiful venue while working with its stunning existing features. 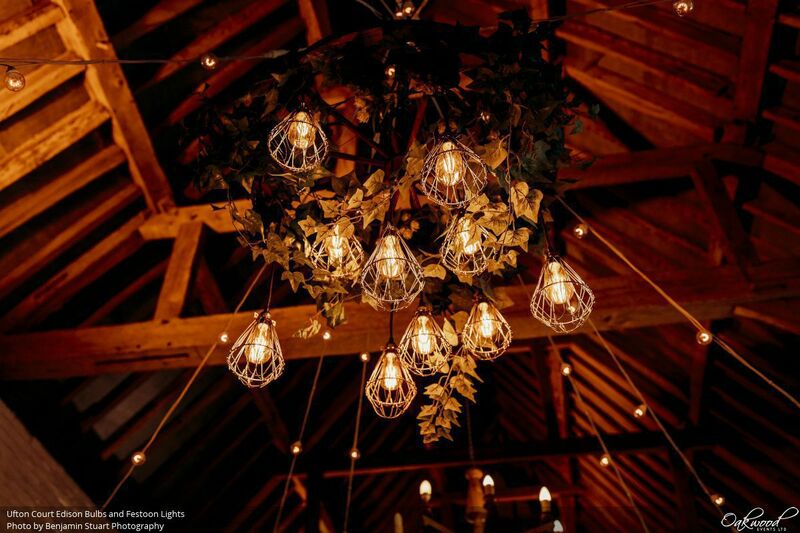 Edison bulbs work wonderfully well alongside lots of lush silk greenery. 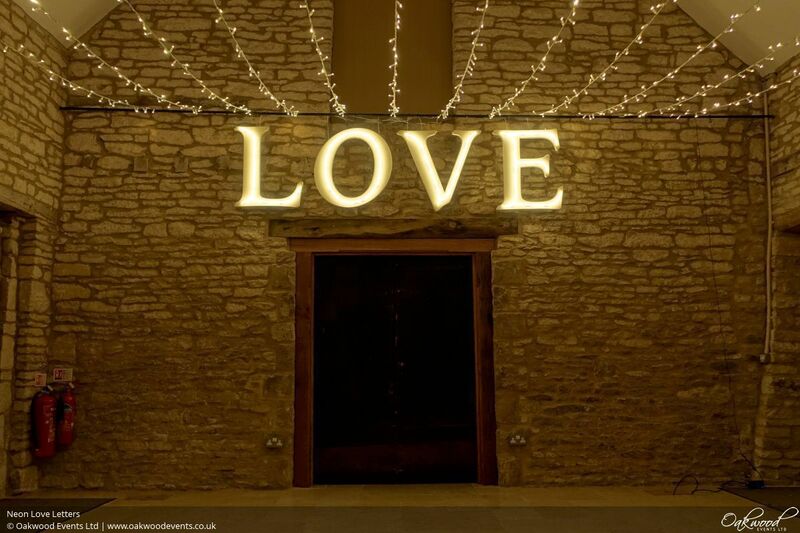 We're really excited about our brand new neon style lit letters! 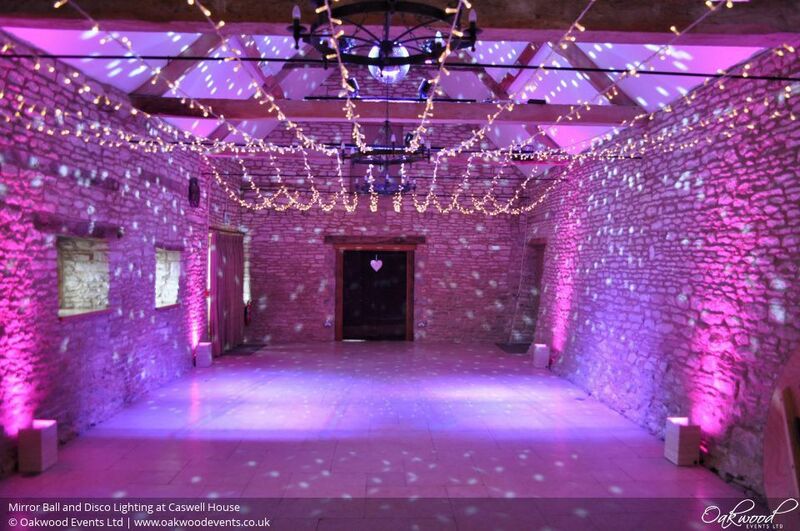 Here they are spelling out the classic "LOVE" above the area used for wedding ceremonies and the dance floor at Caswell House in Oxfordshire. 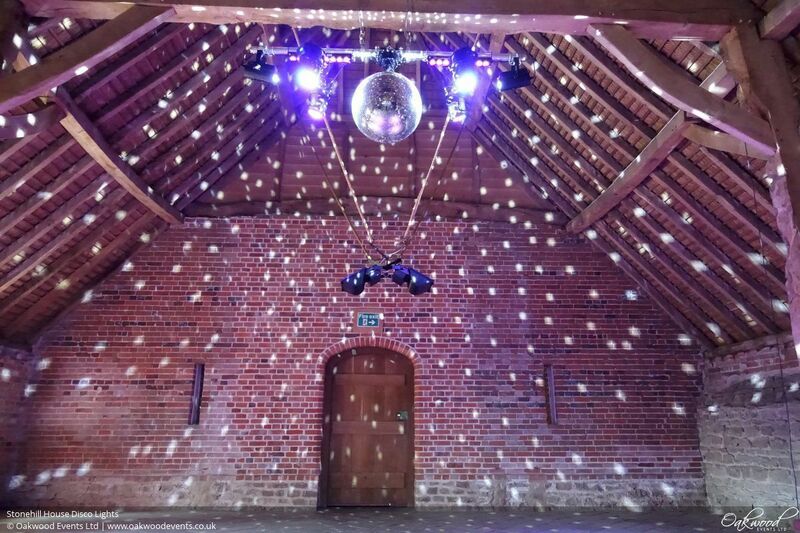 You just can't beat a good old fashioned glitter ball for that authentic disco atmosphere. 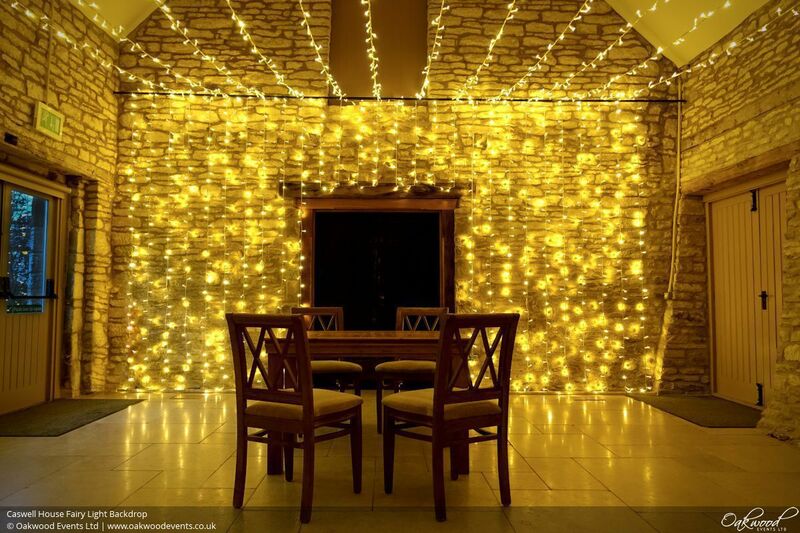 Unless, that is, you have a glitter ball PLUS modern intelligent lights thowing ever-changing colours around the room! 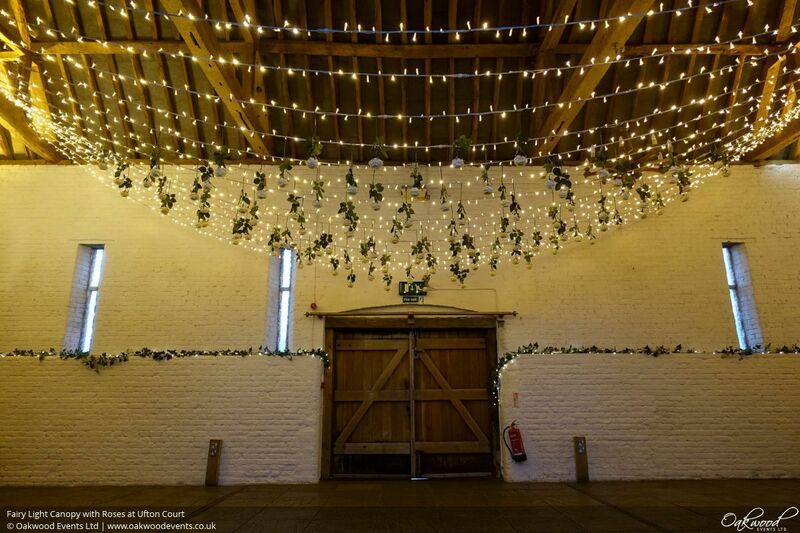 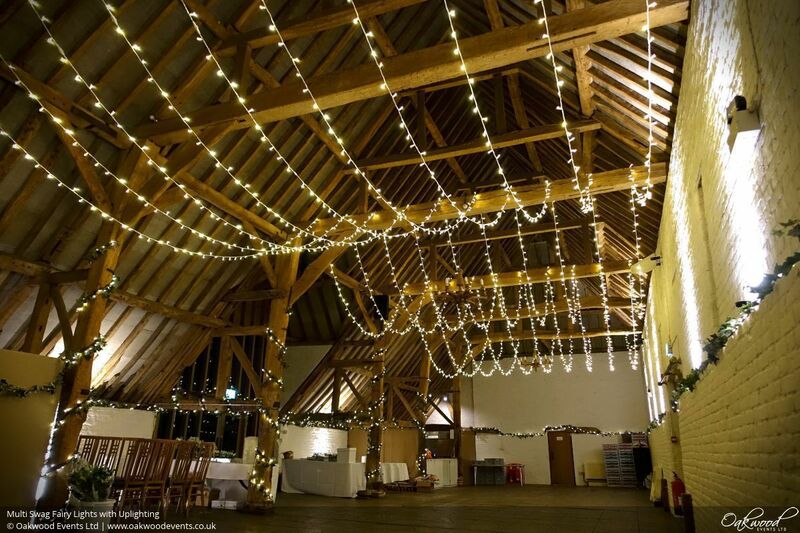 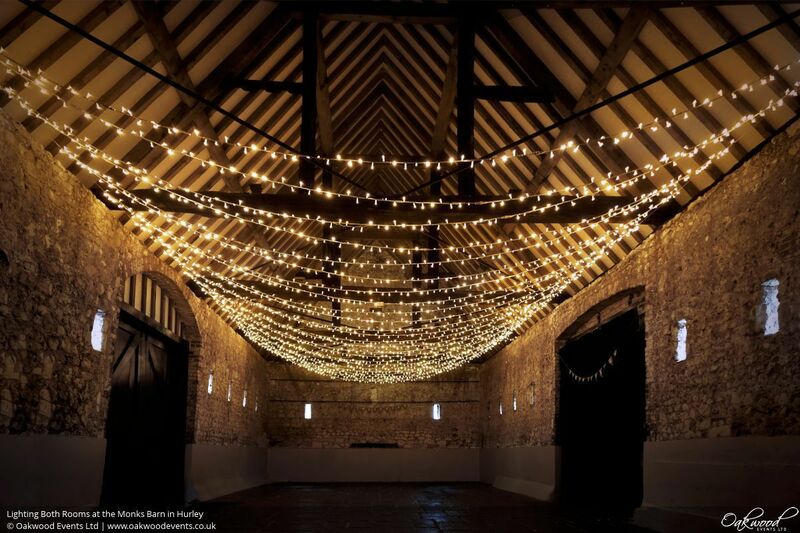 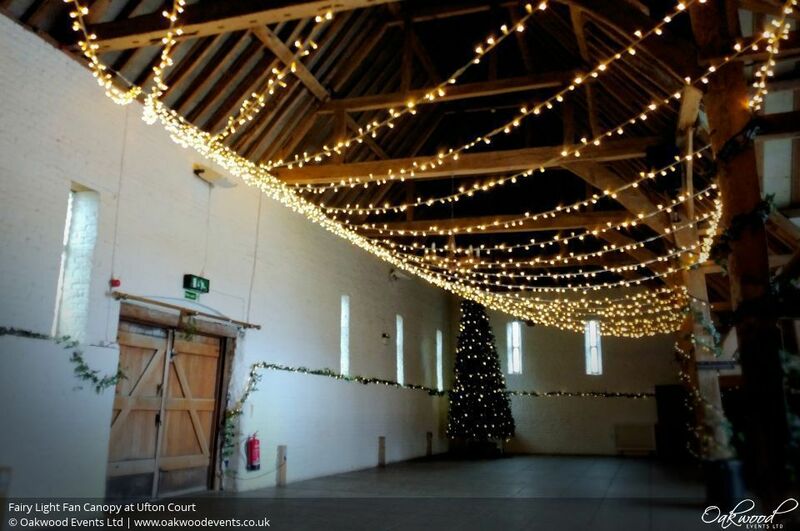 The Archer's Hall is the smaller of the two main barns used for weddings at Ufton Court, sitting across the gardens from the larger Tithe Barn. 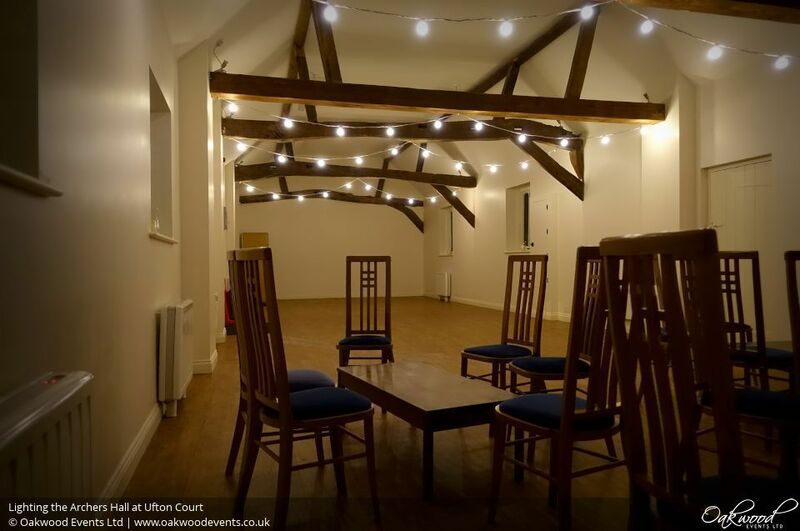 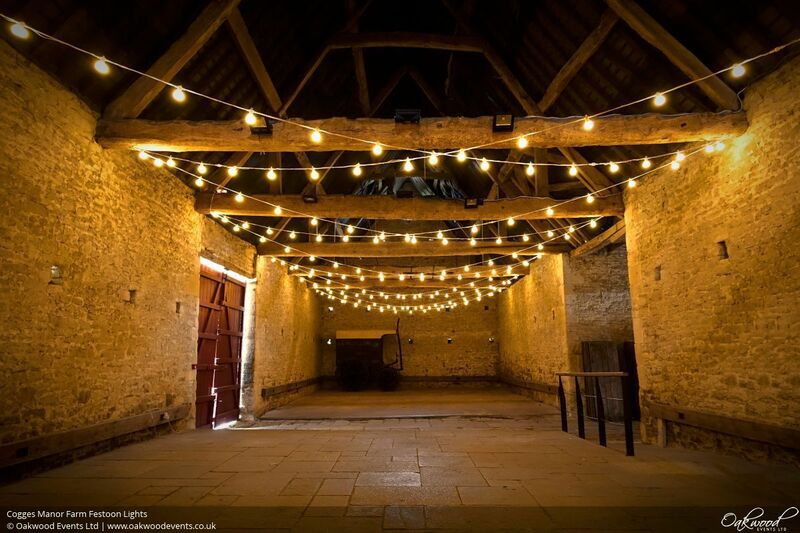 It's great as an extra breakout space, especially in the evening when guests might appreciate somewhere to chat or take a break from the music in the main barn.